Black vultures sit on a hill in Danbury, Conn., fall 2017. Here is the final photo in my celebration of Vulture Week, a week I totally made up because I had some vulture photos to share. 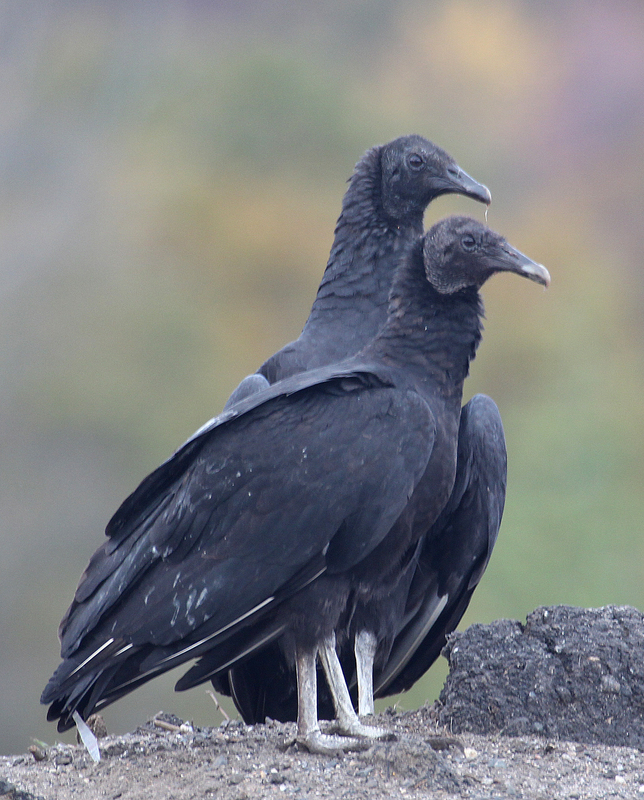 This is a pair of black vultures, which are becoming more common in New England. Final vulture fun fact: Vultures do not circle their prey, a misconception reinforced by so many Western movies. They do circle, but they do that whether there is prey below or not. If they find prey, they get to it quickly. As a bonus, check out the Reader Submitted Photos page for a new photo of a soaring turkey vulture. I always enjoy your blog–vulture week was especially fun! Thank you for sharing your photos and avian knowledge!